"Astroworld" is a lot to live up to. Not just Travis Scott's chart-topping, career-defining Astroworld album, but the name itself. The name conjures visions of the infinite possibilities of the galaxy. In Houston, the name also refers to the Six Flags theme park that operated in the city from 1968 - 2005, an obvious inspiration for Scott’s festival. 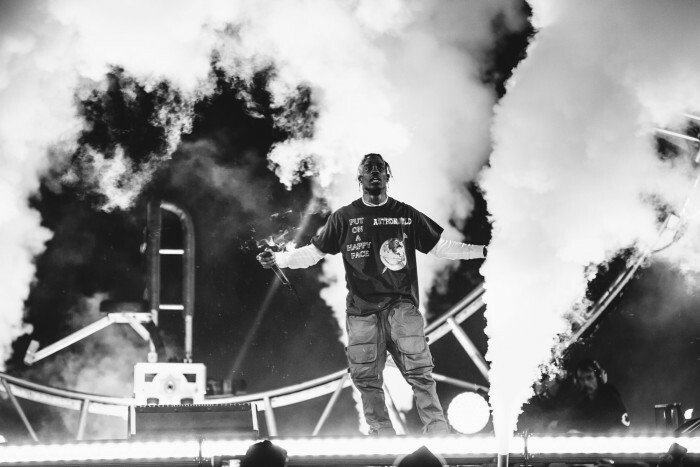 For all intents and purposes, Scott and his Astroworld Festival are Houston’s future, and proved that the future of music festivals should be playlists. 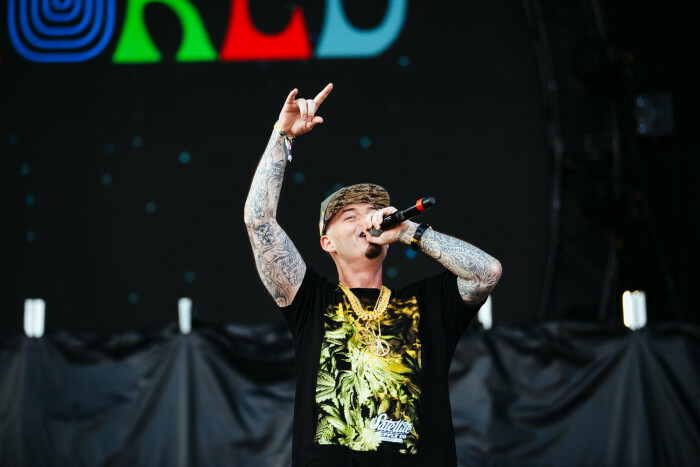 Held at NRG Park, Scott curated every aspect of the Astroworld Festival from the rides, the artist lineups, and even who was selling drinks for the 40,000 people in attendance. 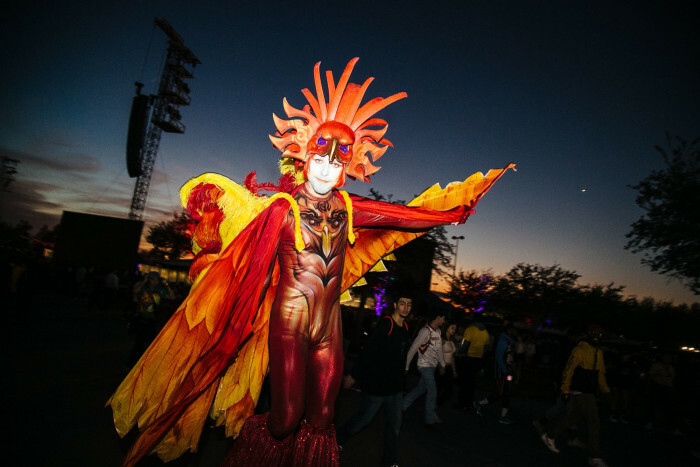 It was hard not to notice how the festival was unlike traditional music festivals, and how it was made to embody the spontaneity, curatorial discretion, and thrill of discovery in a music playlist. But, if anyone was going to transform the ethos of a playlist into a festival, it would be the genre-blending artist who is equally as fluent in Kardashian, as he is in Houston slang. No one had any idea who would be performing at the festival until less than 24 hours before the gates were set to open. 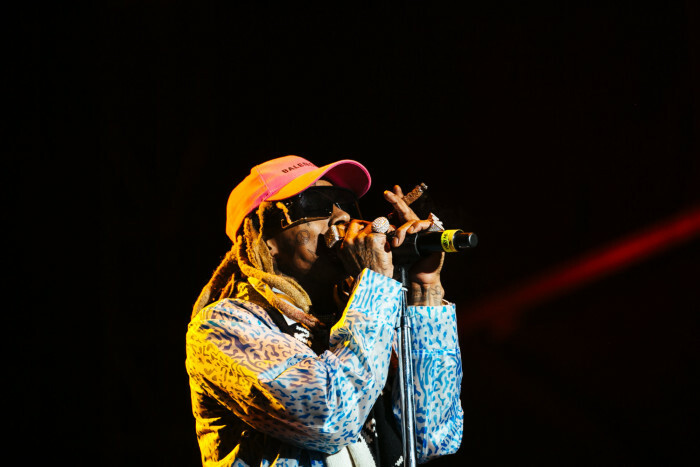 When it was revealed that Post Malone, Lil Wayne, Sheck Wes, Trippie Redd, Rae Sremmurd, Gunna, and Young Thug would be among the performers, all doubt was assuaged. 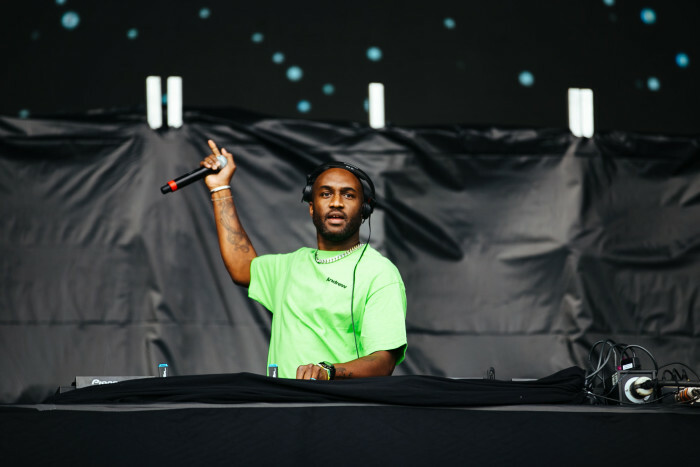 Tyler Phillips, director of lifestyle & culture partnerships for Astroworld Festival sponsor Bacardi, USA, told REVOLT the liquor brand found out who was performing at the same time as the general public. She added that the company really locked in to be featured at the festival a mere two weeks earlier, even though discussions initially began roughly a month or more ago. “It was a pretty quick decision. 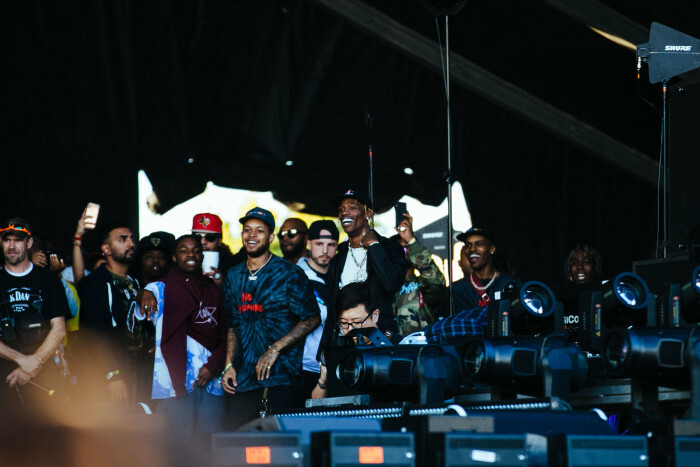 Once we heard Travis Scott was doing the festival, we knew we wanted to get involved,” Phillips said. 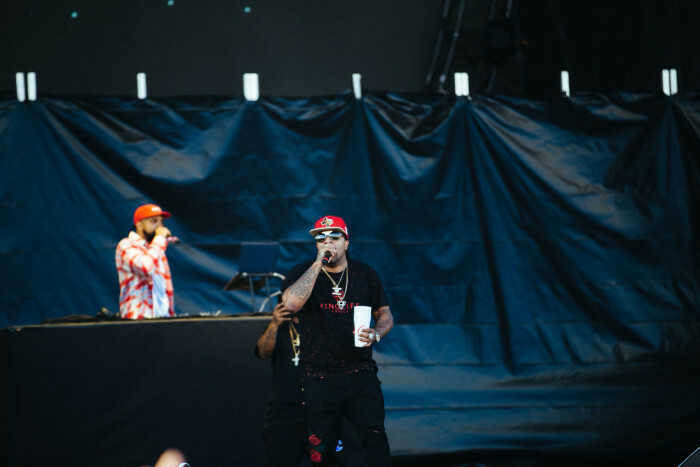 Without knowing who was performing, Phillips said Bacardi decided to provide its Bacardi Limon and Bacardi Cuba Libre based on knowledge of Scott's fan demographic. 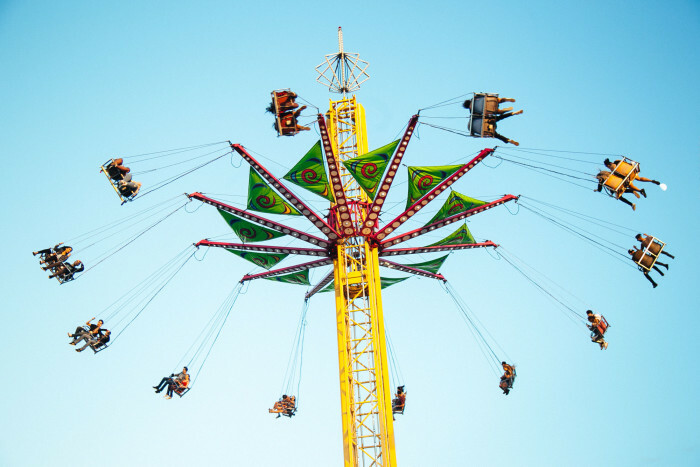 This is highly uncommon for music festivals, as sponsors are usually clued in on who will perform by the festival organizer as a way to entice and secure the company's support. However, all Bacardi and other brands at the festival needed to know was that Scott was involved, and they were onboard. Spontaneity and mystery ruled the day. Even when the lineup was officially released, one act was shrouded in a bit of mystery: Houston All-Stars. Once the 45-minute set began at 3:45 pm, the most salient example of the festival’s playlist unpredictability occurred. 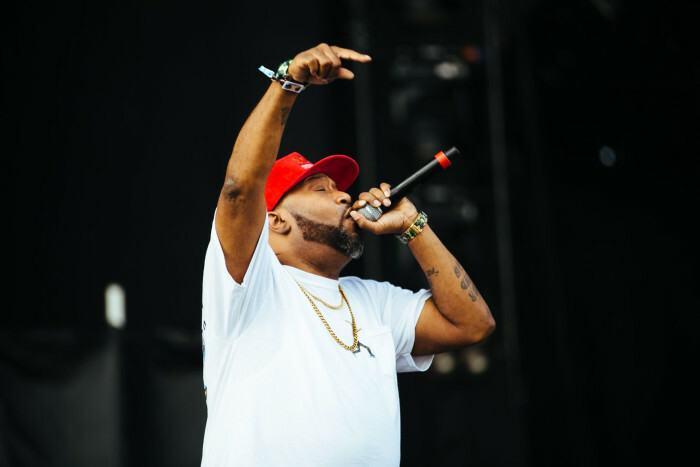 Bun B, Paul Wall, Trae the Truth, Lil Keke, Lil Flip, and Z-Ro emerged on stage one by one to perform their hits. Each new performer was a delightful surprise to the audience and elicited some of the loudest reactions at the festival. A cardinal rule of music festivals is the headliner is neither heard or seen until it is their time to perform. Scott bucked tradition and appeared stage left during the Houston All-Stars performance, and even got on the mic to request that Flip return to the stage to perform his 2000 hit “I Can Do Dat.” When you treat your festival like a playlist, you can make changes like that on the fly. 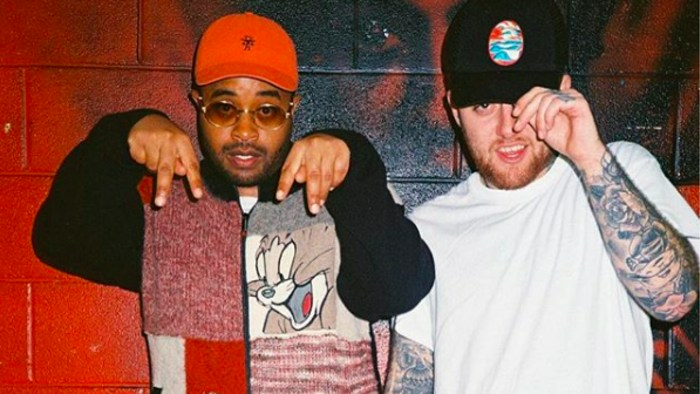 I don’t know if it was that moment, or when Scott was reciting Z-Ro’s 2005 record “Mo City Don (Freestyle)” word for word. But, it became glaringly clear that this festival wasn’t just a playlist, it was a dream playlist Scott's probably had for a long time. Different stages had moments when there was complete silence and no one performed. That was strange, initially, until I realized that it meant fans had to run from one stage to the other because the way the lineup was sequenced, the stages rarely bled too much into the one another. This is unlike most music festivals. But, it's expected from the best playlists. 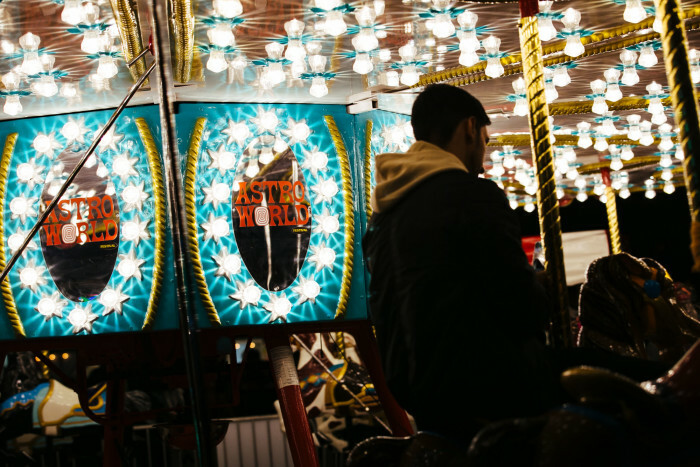 There was a ferris wheel, carousel, mega drop, a huge dome that housed arcade games and a panoramic light show, as well as other various carnival-inspired attractions. Most music festivals have attractions outside of the music performances. But, they are often branded by a sponsor or focus your entire attention on the attraction, instead of on the live performances. 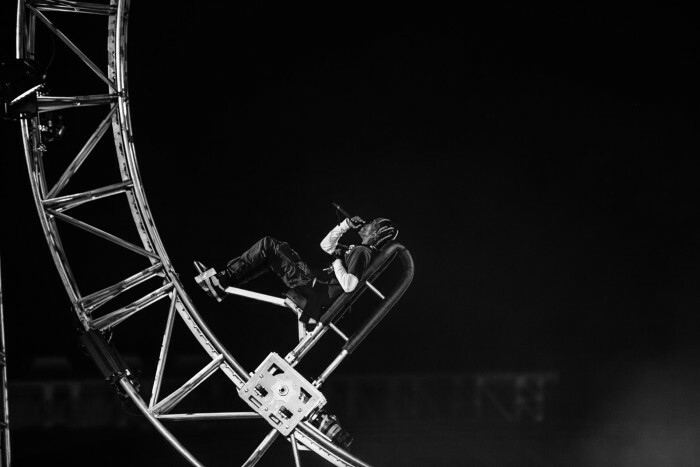 Not only did most of the rides at Astroworld Fest not take away from the viewing experience of the performances. But, they let fans see live performances in ways many of them never had before. Witnessing Scott rage through Astroworld standout "Carousel" with flames bursting behind him and a masked man strapped to a chair going up and around a roller coaster wheel -- while you're dozens of feet in the air on the mega drop ride -- is a sublime experience that's between the fear of death and thankfulness for life's blessings. “Our kids never got to experience it. 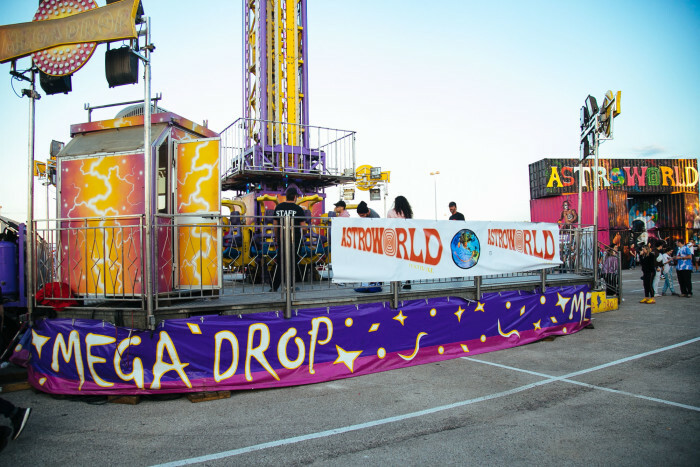 But, the way Travis had it set up is how the original Astroworld looked, just not as many rides,” 41-year-old Will Lean, one of the founding members of DJ Screw’s Screwed Up Click, told REVOLT TV. Scott's fans can be best described as rage and the machine. At the festival, the largely millennial bunch were either losing their minds to Sheck Wes performing his song of the summer candidate "Mo Bamba" twice in an eight-minute span; or they were glued to their phones looking for the best selfie angle, while trying to pull cell service out of the sky. One guy had surgery two days before the festival and still attended, crutches and all. 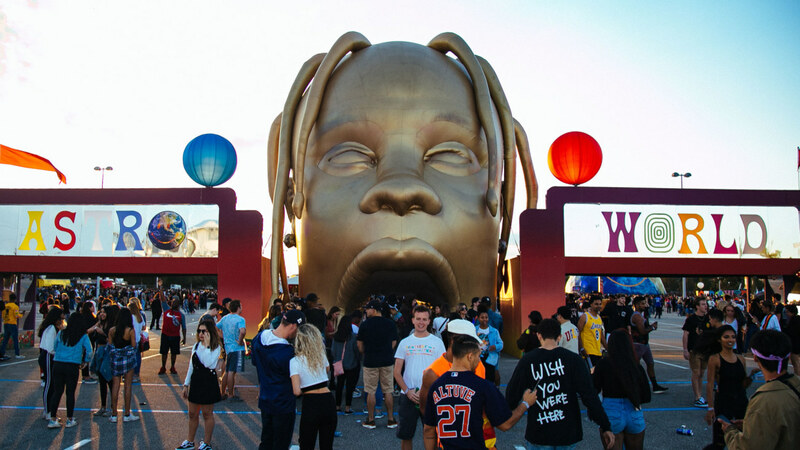 So, it wasn’t surprising that the large “Astroworld 2018” logo was the selfie destination of the festival, and had as long of a line as the festival's most impressive attraction: The Screw Shop pop-up installation. “November 16 was the day [DJ] Screw passed away. So, we did the memorial at the Screw Shop at the Astroworld Festival,” Will Lean added. 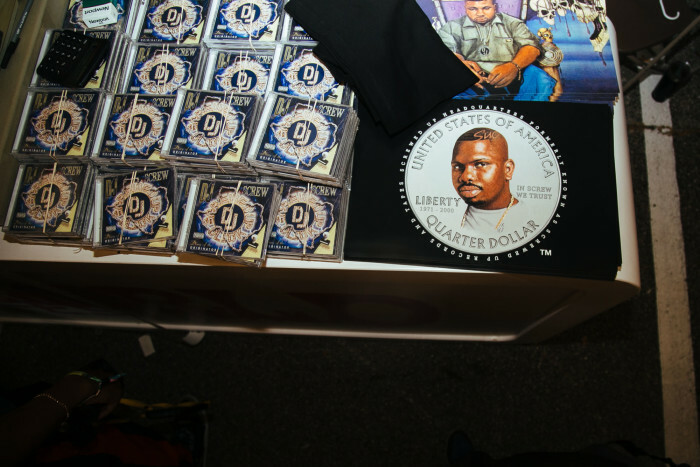 Inside the shop was clothing emblazoned with the late, legendary Houston DJ and Scott-inspired designs; as well as DJ Screw’s likeness and phrases. But, the real treasures were actually a number of thick binders and a table full of CDs. The Screwed Up Click was selling 346 volumes of mixtapes from DJ Screw, as part of the “Diary of the Originator” series Screwed Up Records has been releasing since 2000. For $15, you could get Screw’s trademark chopped and screwed sounds on Aaliyah’s “One In A Million” and Tupac’s vitriolic “Bomb First” verse over Nas’ “If Ruled The World” instrumental on just one CD. 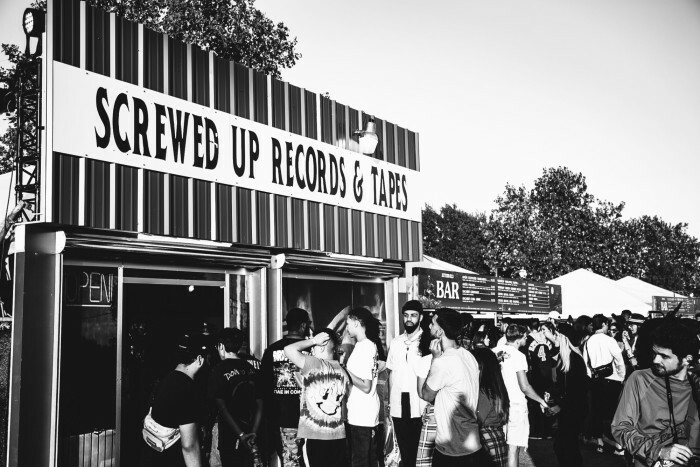 Will Lean added that plans for the pop-up shop to be featured at the festival was initially discussed after Scott reached out to the group about it, while filming his "Sicko Mode" video in Houston back in September -- which he did at the original Screw Shop. It’s also the result of a relationship Scott and the Screwed Up Records family have been developing for years. “Back in July 2014, he reached out. He wanted to do an in-store, at the shop. 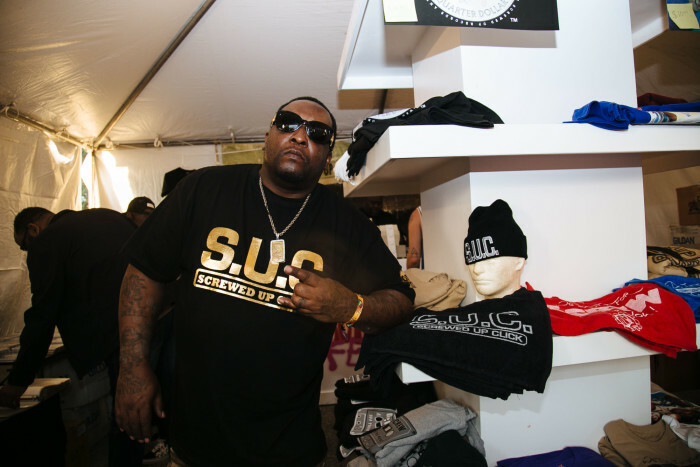 He did a pop-up at the Screw Shop,” Will Lean continued. Scott expertly placed the Screw Shop in between the enormous merchandise tent, and the Astroworld 2018 logo, presumably knowing these may be the busiest sections at the festival. 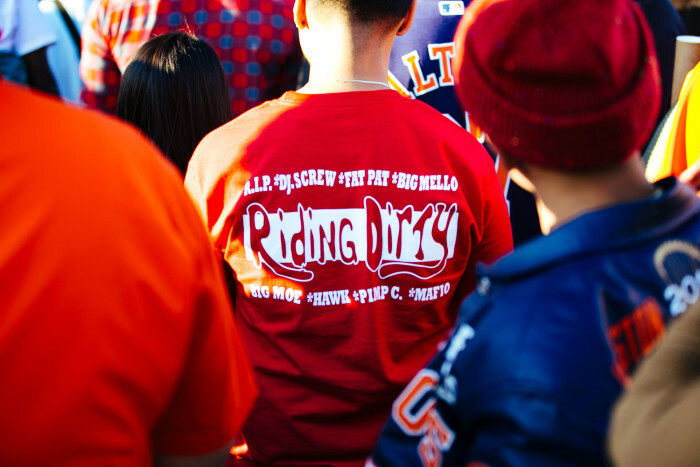 Hypebeast or not, you were going to get some southern-fried, home cooked Houston music. 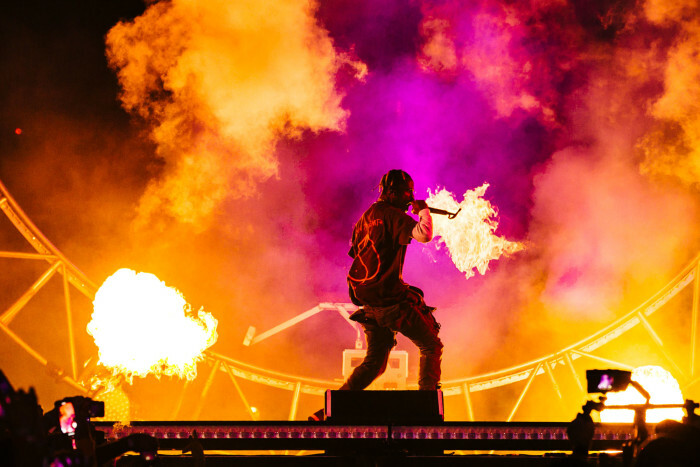 As impressive as the first annual Astroworld Festival was, there were clear ways to improve it for next year. Cell phone service at the festival was as existent as Donald Trump’s empathy, and just as needed. 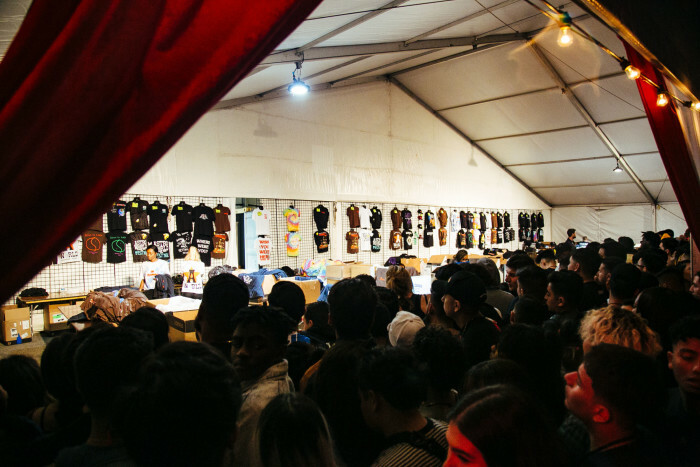 You were luckier to score Astroworld merch than to contact your friend who got lost in the madness of a Trippie Redd mosh pit. Also, while I applaud the effort to expose his fanbase to DJ Screw's music, there should have been a better understanding of the demographic. Safe to assume that most of Scott's diehard fans are being raised during a time when CDs are like fossils from a forgotten time. So, selling them for $15 may have dissuaded a bunch of them from purchasing. As the sun went down, the Houston temperature turned to freezing cold, and Scott had exited the stage, as more than 100 people were still waiting on line to grab a piece of merch. Everyone wanted a piece of history, as they realized this was more than just a stop on his Astroworld Tour. It was the start of what could be the next great Houston tradition... and hopefully a blueprint for how to inject a music festival with the soul of a playlist.